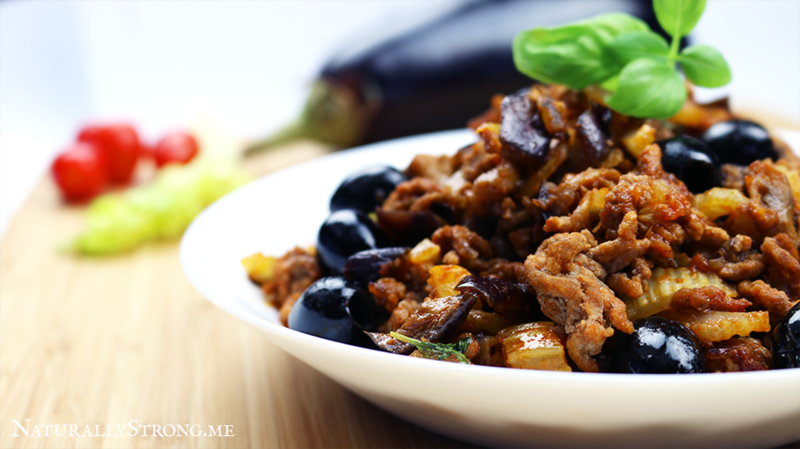 Caponata is a classic Italian dish from the South. It is sort of the Italian version of the French Ratatouille. Though Italians would definitely think that the Ratatouille is the French version of the Caponata. The original recipe is truly amazing but it has two caveats for us, looking to get lean and strong: it has a disproportionate amount of calories and basically no protein whatsoever. “Such a pity!” — I said to myself. So I did something that is sort of illegal in Italy: I changed the traditional recipe. I know, many grandmas are most likely turning in their graves as I cooked this. But, if you can forgive me the biggest Italian sin, then this recipe should really be in your high-protein staples. Mind you, it still has a lot of calories, but waaaaay less than the original. Which makes this a great recipe for a clean and healthy bulk. Let’s talk about the mind-blowing taste. Bittersweet, flavorful, rich, and truly mouth watering. Each bite will call for the next. Given the relatively high amount of fiber, this dish is pretty satiating too! This recipe is also low carb high fat (LCHF) so, if you happen to be on this diet, you’re good to go! Eggplants season in this part of the world! If you have been following me for a while now, you should know how much I like sardines and what a powerful food they are. Plenty of omega-3s, minerals, and protein. Some people though might be intimidated by the weird oily texture and, sometimes, the smell. After trying this recipe, I promise, you will start loving sardines like you never thought possible before. The flavors packed into this simple and easy recipe are incredible. You can see my genuine reaction to tasting this recipe for the first time. I was seriously having a foodgasm there! Besides tasting heavenly, this recipe is Keto since it has almost no carbs at all but also Paleo, Primal, LCHF, and, of, course IIFYM. Also, it requires no cooking (besides the eggplants which you could make in bulk and store in the freezer). It takes literally 5 min to assemble and it’s very cheap too. I use canned sardines that come at 88g for just 0.53 euro! I have this for lunch. This recipe is recommended if you are cutting because it has few calories, lots of proteins, and it’s very very satiating. I haven’t found a proof in the scientific literature but I experience complete appetite suppression for many hours after eating this and I suspect it’s the raw garlic. Once, I found out Gordon Ramsay’s YouTube channel and I ended up spending the entire Sunday morning watching is cooking videos. I was drooling over my keyboard. The guy is a whizz and he’s incredibly passionate about cooking. You can see his heart is in there when he seasons the meat, chops up the onions, or sears a steak. Given that pork chops is relatively high in protein and I’m bulking, I decided to give Gordon Ramsay’s pork chops recipe a try. The recipe itself is rather simple though I never basted meat before so that was sort of tricky for me though I managed at the end. It’s a nice technique to bring more flavors and speed up the cooking so that the meat doesn’t dry up and you can give it a try with this recipe. I wouldn’t recommend this recipe to someone who never cooked before. There are easier recipes that can provide you great taste as well. The taste was great: rich, full of aromas from the herbs and butter, sweet and sour from the vinegar and the peppers. Some sour cream or crème fraîche would make a great topping for this one or even just some quality extra-virgin olive oil. How Can All That Fat Help Your Muscle Gains? 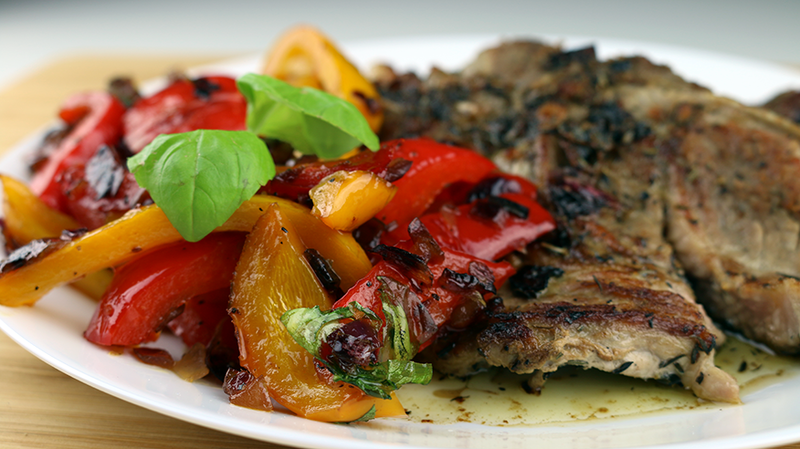 Olive oil and pork meat are rich in monounsaturated fatty acids which can increase anabolic hormone levels. Pork and butter are also a source of saturated fatty acids which, as well, can increase levels of anabolic hormones such as testosterone and growth hormones. This will contribute to gaining muscle mass faster by increasing your testosterone levels in the long term. Be sure to include polyunsaturated fatty acids in your diet as well such as omega-3s which you get from eating fatty fishes or by taking fish oil supplements for a proper balance. Each serving will also provide 35g of protein which is a good high amount for people who want to build muscle and strength (you still need to train though  ). If you are short on time and don’t have enough time to cook this keto lunch recipe can be a lifesaver. 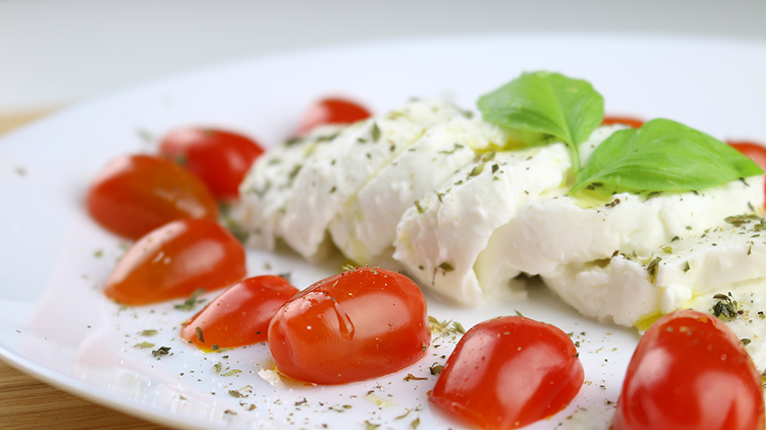 This dish is called Caprese. and I’ve been eating it when I was in Italy very often and it was one of my most favorite meals! You don’t need fancy recipes to eat well. This is what south Italian cuisine is all about: few ingredients, simple to make, tastebuds ecstasy guaranteed. This dish is very low carb, therefore, it can be eaten on a ketogenic diet. It’s also dirty cheap and very quick to prepare since no cooking is involved! My grandma (and mom) used to make this all the time: a big tradition in southern Italian cuisine. The flavors are incredible and the way they combine makes you feel in Italy after a first mouthful. Little that I realized, how high-protein and low-carb high-fat this dish can be! Therefore, whenever I have some time and can find cheap eggplants, this dish is a must do for my post-workouts. This is very filling too so if you are cutting you can make it as well. So, there you have it, the authentic south Italian stuffed eggplants recipe adapted for muscle mass gains!